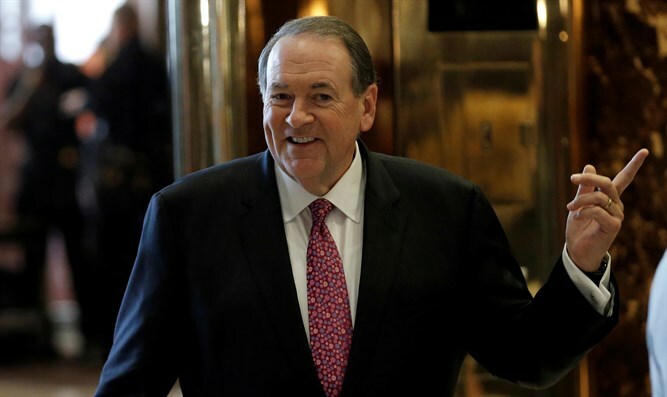 Mike Huckabee asks how journalist can call statement by President Trump 'unsupported' when it is a known fact. In an article on his website entitled Thanks, POLITICO, but I wasn't being POLITICAL, former Arkansas Governor Mike Huckabee answers a Politico article that claims: "Rep. Trey Gowdy has been a pitbull investigator for Republicans for years. Now, he’s in President Donald Trump’s doghouse for daring to challenge the president’s unsupported claim that Democrats and their sympathizers in the FBI embedded a spy in his 2016 campaign." "After reading Kyle Cheney’s piece in POLITICO that mentioned my commentary about Trey Gowdy, I was left with one question: where to start?" Huckabee wrote. "Maybe we should take a look at the very first paragraph, specifically the phrase 'the President’s unsupported claim...' One has to have been living in a pretty deep cave –- or be in deep denial –- to dismiss the President’s claim as unsupported. On the contrary, we’re finding out more almost every day that lends support to the President’s claim –- so much support that it’s hard to keep up with it all. We KNOW the spy was there, who he is and essentially what he was doing, along with a growing cast of supporting characters. We now have a timeline that is at odds with the evolving story from the FBI/DOJ. From the Strzok-Page texts, John Brennan’s crazed anti-Trump tweets (hard to believe this person actually ran the CIA) and much more, we can glean the motivation. And we have stonewalling like there’s no tomorrow. "No, a phrase like 'the president’s unsupported claim' is meant to slide through the reader’s eyes and embed itself in his or her brain without any pesky thinking taking place along the way. I recall the phrase 'discredited swift boaters' being used to similar effect when John Kerry was running for President. "It lends even more support to the conclusion that this investigation was hardly business-as-usual for FBI officials, who deviated from their own guidelines to conduct it the way they did. It was NOT by the book. The FBI has set-in-stone policy regarding the steps of an investigation and the appropriate use of 'intelligence agents' (spies) and 'confidential sources' (spies) along the way, and the emerging timeline for this case is all wrong. Evidence of a serious threat to national security must be present, and she makes the case that it was not. "For Gowdy to be ignoring that now is truly mystifying, and I’d say the same of any respected prosecutor regardless of party affiliation," Huckabee wrote.